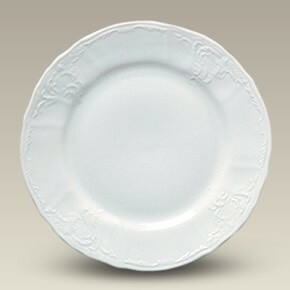 The embossed Bernadotte pattern on this all white porcelain dinnerware is versatile enough be used as your fine china during special occasions or as your everyday service ware. This 11" plate is made of fine porcelain in China. Microwavable and dishwasher safe. This item is a SELECTED SECOND. It contains slight imperfections. All sales final.